When you stop and think about all the ways advertisers can reach their audiences, the most obvious way is driving right under our noses’€¦ our cars! Think about it: cars are seen 24 hours a day, 7 days a week, no matter where or who you are. Cars are basically bulletin boards for their drivers’ personality and style; whether someone is conservative or wild and flashy, cars have become a regular status symbol… a trend Ford has taken note of and is now cashing in on. Major American automaker, Ford, has developed its own personalized line of car wraps for small business owners. Last year, Ford created a website that enabled private drivers to design and create funky car wraps to decorate their Ford cars. Now, Ford has extended the offer to small businesses. 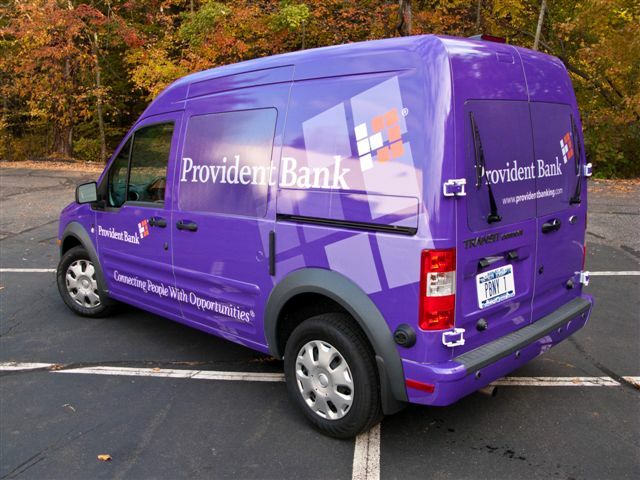 Owners of Ford’s Transit Connect truck can create their own custom graphic wraps using various shapes, letters and colors that are available to them online. Or if you’re looking for an even more personalized wrap, upload your own graphics and images! The site offers extensive creative choices and is easy to navigate, even for the novice artist. Graphics can be added to an entire truck, or just one specific side. The wraps are 3M vinyl and installed by a Ford dealer or a specialist. 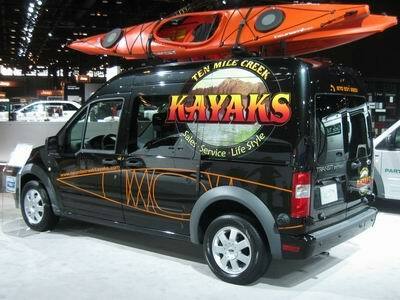 Costs range from about $100 for a small panel logo to $3,500 for a full vehicle wrap. That seems like a small price to pay to get your product on the road for everyone to see!